Generac’s XC Professional Series Portable Generators are the 2017 PTIA Award Winner in the Gas Generator Category. The PTIA awards occur annually and recognize the tools or products that are pushing or shaping the industry and that are truly innovative. 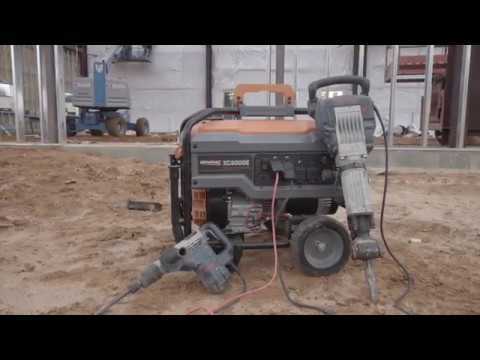 The XC Series portable generator from Generac was voted into the top 4 in the 2017 Coolest Thing Made in Wisconsin contest presented by Wisconsin Manufacturers & Commerce. The Fork Lift Pocket fits up to 7” wide blades. Accommodating the majority of Class I, II, III,IV fork lift blades, making the XC the most mobile portable generator on the jobsite.